Love the idea of planting these after you use them. Just a great item to have on the market. Custom Earth Promos helped me find exactly what I wanted. They patiently assisted me over the phone and I had no problems with the final product. I plan on using this company again. I ordered 15k seed paper postcards. Customizing them was really easy and the customer service was impeccable. The best thing about them is that they are 100% Eco-friendly. Great concept! Ordered these for my company and I am so impressed! Really helped get my eco-friendly view across! Thank you CEP! I was overwhelmed by the amount of shapes I could make these postcards out of. It was a fun process that Custom Earth Promos helped me with. These cards printed perfectly with our business information I love how they came out. I love how you can plant these after use. Great idea! These were the perfect cards to put our logo on! Very please. How cool is the you can plant this entire postcard. I love everything about them. These made our customers really happy as we are a Eco-friendly company as well! Even as our most compact option, Value Seed Paper Postcards effectively communicate our brand's custom messages with aesthetics tailored to match their core ideals and build an eco-friendly presence. 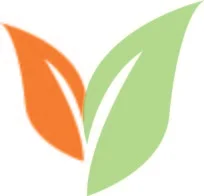 Custom Earth Promos invites you to discover the inspiring and business boosting effects of eco-optimized marketing with an exclusive custom design of these affordable and highly effective branding tools. Your postcards are hand made from 100% post-consumer recycled paper, infused with our most popular wildflower seed mix and guaranteed to grow in any US Climate Zone. Succeed in increased campaign visibility while communicating the eco-invested actions and sustainable initiatives your business has taken on a creative canvas that your customers will adore. Both sides of the 3" x 4" postcards are able to be imprinted with your brand's custom graphics for optimal visibility and personalization. 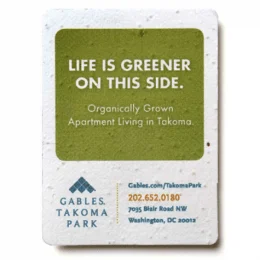 Design an exclusive order of ready-to-plant Value Seed Paper Postcards to affordably and effectively fuel your advertising campaign, event promotion, invitation or eco-friendly brand initiative. Brands that have established strong strategies of sustainability, waste reduction or reduced eco-impact are growing at four times the rate of their less eco-attentive competitors. Businesses that have not yet launched "going green" product objectives or "sustainable production" strategies in response to current eco-conscious customer demand are investing in the difficulty of doing so with each passing day of inaction. Consumers are placing more value than ever before in brands' social and environmental ethics, with expectations of eco-investment, sustainable methods and minimized environmental impact. Eco-conscious brands are rapidly increasing their market share value, as well, with investors exhibiting the same eco-friendly favorability. In building value, improving performance and benefiting brand image, effective promotion of eco-ethical actions is just as crucial as the actions themselves. Implemented eco-ethical production methods, "green" product development and adopted sustainable production strategies, for example, are environmental investments that must be successfully communicated to customers. In order to see an ROI that is reflected with increased brand trust, profitability & market share value, eco-friendly initiatives and environmental commitments must be announced, advertised and celebrated. 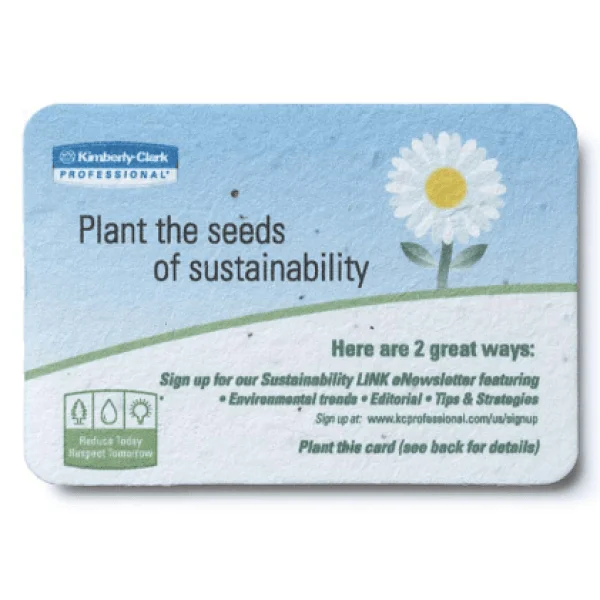 Value Seed Paper Postcards are the perfect way to strategically spread awareness of your eco-friendly brand initiative, inviting customers to join you in preserving the planet by planting their postcard! Our seed paper is the best in the industry. We use only the highest germinating seeds and carefully oversee every phase of solar-powered production to guarantee maintained integrity and ensure your seed paper will grow. Value sized seed paper postcards can be printed on both sides, and rendered either horizontally or vertically depending on your preference. Work directly with one of our in-house design team experts to build your custom design seed paper postcard order from scratch. Add customizations of ribbon, cellophane wrap and envelopes. Use letterpress printing to achieve an embossed, vintage texture or choose from a plethora of other options to ensure personalization. Custom Earth Promos' seed paper is handmade from 100% post-consumer recycled pulp, guaranteed to be free of any dyes or potentially dangerous chemicals. Seed paper is infused with USDA-approved, non-GMO seeds in the USA and laid out in sheets to dry at our 30 kW solar-powered facility. We offer 21 different and equally vibrant color options for seed paper orders, each color derived from natural, soy-based pigments and posing absolutely no threat to the environment in production. Orders include full-color printing on one side, but both sides can be used and images can be horizontally or vertically displayed. Your order of Value Seed Paper Postcards can be infused with a custom flower, herb or vegetable seed mix to further personalize your promotion of a seasonal campaign or event. Our creative team reveals new seed mixes all year round, so be sure to ask your design expert which mixes we have in stock!